50 years of experience have led the Vignati Group to develop strict processing methods with quality meeting the highest standards, with technical skills enabling it to assist customers even in conceiving and creating complex subassemblies. The Vignati Group is specialized in the production of complex technical components, including the production of moulds and dies. Its main areas of business are: appliances, automotive, electronics and electromechanics; medical; telecommunications. 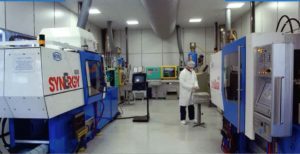 The Vignati Group provides prototyping services through its prototype manager: analysis of details prior to industrial launch; launch of mould and die design; validation of designs; production of moulds and dies; testing and compilation of specific technical dossier; product qualification; assembly as customer requirements; correct management of the industrial engineering process is the key to reducing technical risk, thus reducing costs and meeting programming deadlines and quality standards; partnership with high-level laboratories to offer services marked by active participation in the development of the component and its function right through to the creation of the subassembly, featuring quality and performance without the high costs.